U-Boats BETA Release ★ Submarine Shooter ★ Game Review - KABALYERO - PLAY, BLOG & EARN! U-Boats BETA Release, got a chance to play it and if you want to know what I think of U-Boats then read this blog post. I love trying out various games and, with that said, one of the games that I recently tried is a game called U-Boats. It's a submarine shooter developed by AstraGameStudio. 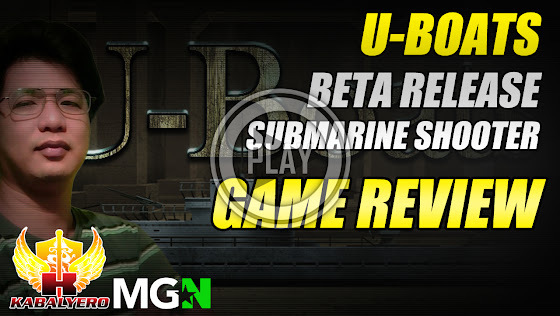 This game review of U-Boats is for its BETA Release version which is FREE. Yes, you can download the BETA Release version of U-Boats for free. For this BETA Release version of U-Boats, the thing that I like most in the game is not the graphics because the graphics are simple, it's also not the sound nor the music and it's definitely not the story because I have no idea what the story of U-Boats is. What I like about U-Boats are the following; 1. it's easy to play and 2. the U-Boat itself is easy to control. This makes the game very, very accessible to everyone and it adds to the game's fun factor. Seriously, one of the most annoying thing for me when playing a new game is spending a lot of time just learning how to play or control the character or in this case the ship in the game. U-Boats does have a Training Mission where you'll learn how to move your ship, dive, resurface, shoot torpedoes and others but it's pretty basic. Anybody can learn it almost instantly. As for the actual game, U-Boats is not an easy game. Yes, its easy to play and the controls are easy to learn but the game is far from easy. It's not hard either, its more like challenging. For example, the Search & Destory mission is very simple. All I have to do is destroy 5 Ocean Liners which is easy if there are no other enemy ships and planes around to defend these Ocean Liners. Anyway, U-Boats is still in BETA and the game can still improve its looks specially if it wants to attract the more graphically inclined gamers. It still needs some optimization because, for a not so graphically advanced game, its really working my GPU hard. So, for this game review of the BETA Release of U-Boats, I'm going to give it a rating of 6 out of 10 just because I enjoyed shooting and sinking those other ships with a submarine. Also, if you wish to receive updates when new blog posts are posted then don't forget to subscribe. 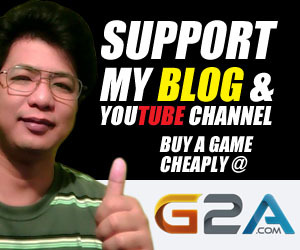 You can also help me grow this channel by liking this blog post and sharing it to your friends. Thank you very much for watching and see you in my next blog post.